Join BOZAR Agora and Culture Action Europe discussion on the role of gender & culture in imagining new Europe. 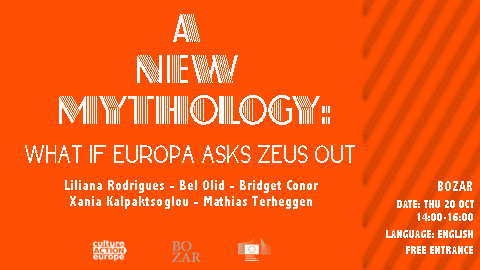 As part of Les journées de Bruxelles 2016, “A new mythology: what if Europa asks Zeus out” will take place on 20 October at Bozar in Brussels. The cultural sector has been regarded as a sphere in which critique and alternative ways of collaboration are possible. Often, cooperative work-practices are associated with a feminine stance. 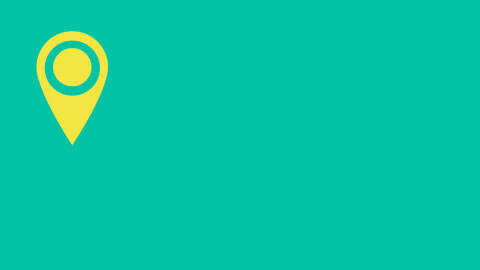 We want to explore the extent to which this belief reflects the reality of the cultural sector and if enhanced female participation can inspire a peaceful, democratic change at a broader European level. Bel Olid, Bridget Conor, Xenia Kalpaktsoglou, Mathias Terheggen & Liliana Rodrigues will share their views on the topic. Participation is free upon registration through this link.